Broccoli tamale at Rich Table. Rich Table is one of those restaurants that confounds. In the best of ways. What other place thinks of threading whole sardines through potato chips? Or baking levain bread with dough infused with Douglas Fir? Or tossing a tangle of pasta with sauerkraut and pastrami? 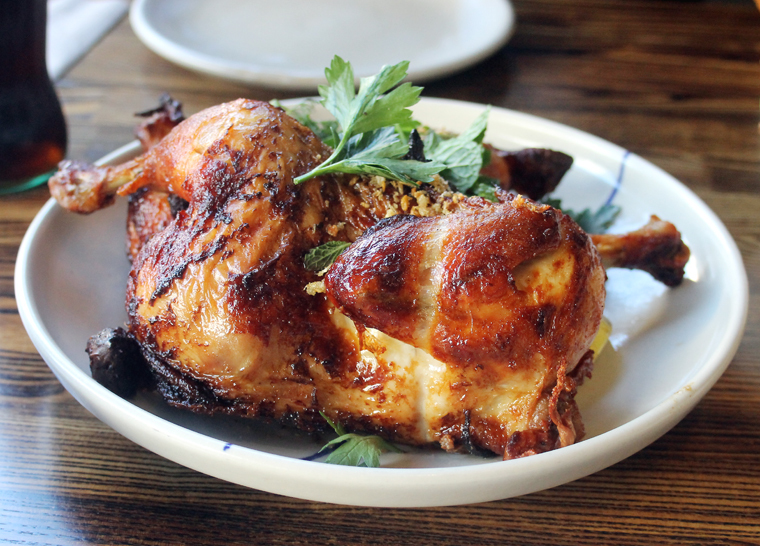 Only this San Francisco establishment founded by husband-and-wife chefs Evan and Sarah Rich. No wonder this casual, relaxed place has earned a Michelin star. Step inside the casual Michelin-starred restaurant. 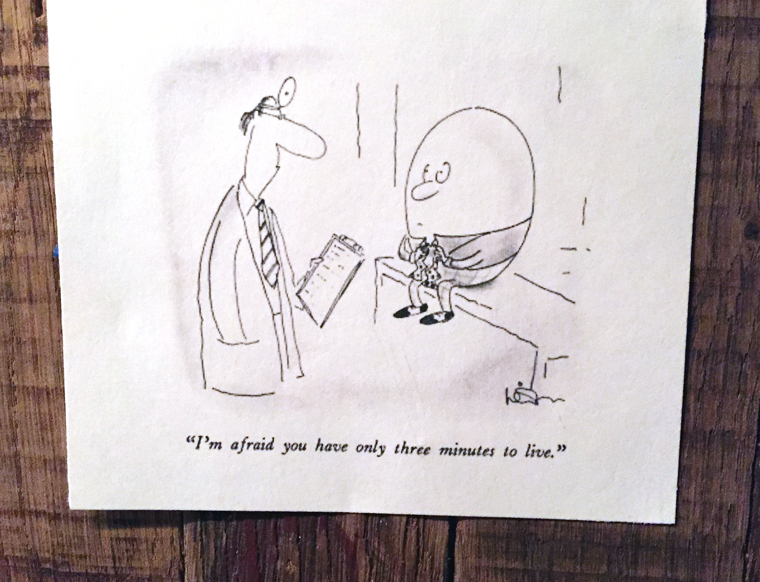 A little bathroom humor on the bathroom wall. 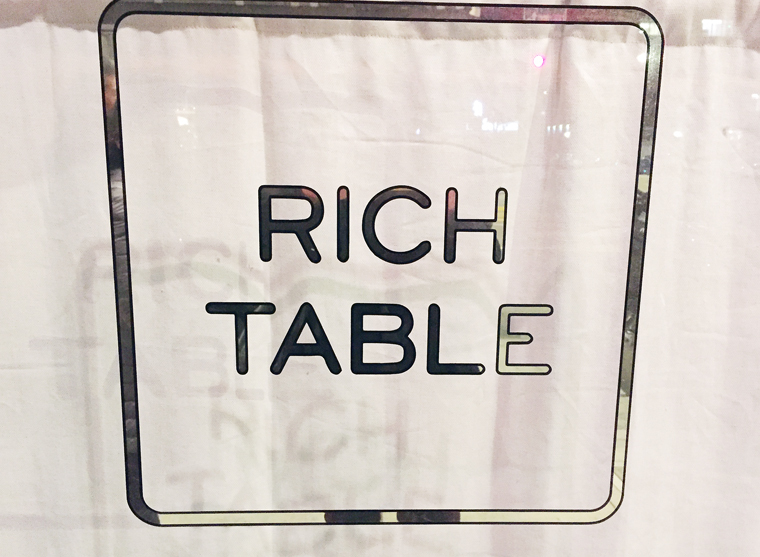 Even before garnering that honor, Rich Table was always a tough place to get a reservation. It’s even more so now. But plan ahead to score a table and you will be richly rewarded, as my husband and I and our friends were on a recent Sunday night. We paid our own tab at the end, but Chef de Cuisine Brandon Rice did send out a parade of desserts on the house at the end. And the equally notable porcini doughnuts. About those sardine chips ($2 each)? 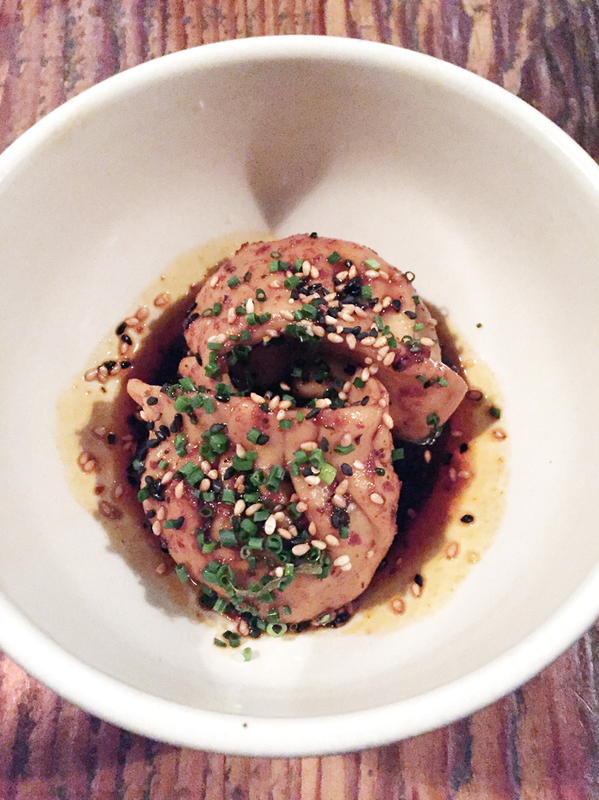 They have been on the menu since Day One, and are a must-order. 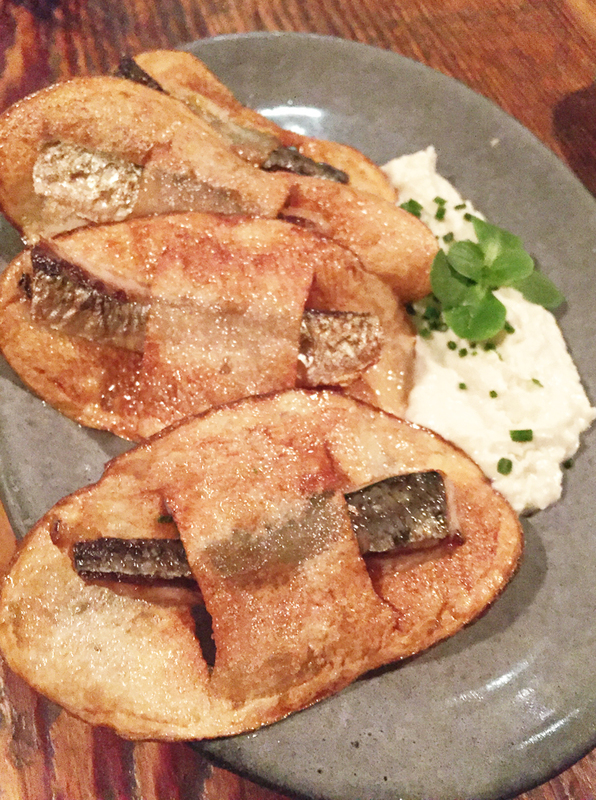 The meaty, oily little fish fit snugly within two slots cut into russet potato slices fried until crisp. Horseradish creme fraiche acts as the tangy, creamy dip. Dried porcini doughnuts ($9 for five) are another long-standing signature bite. 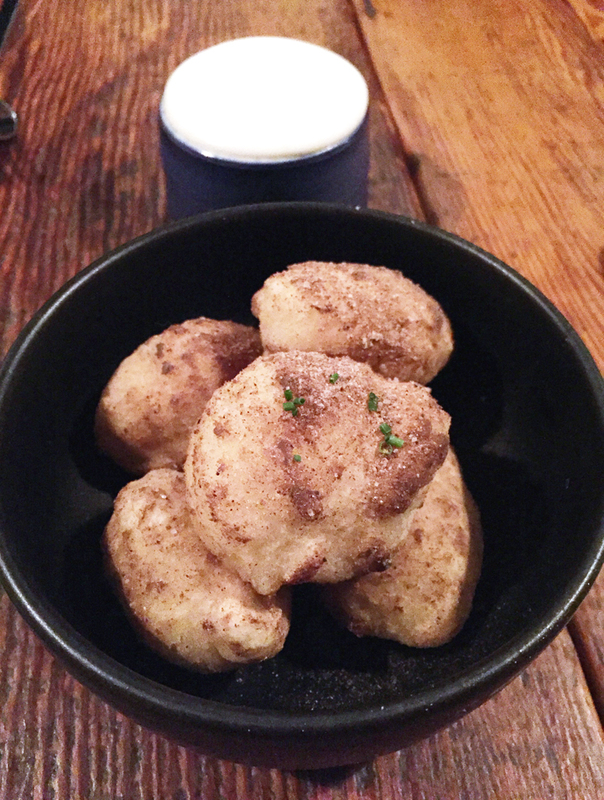 Doughnut-hole-sized, the airy fritters are dusted with dried porcini creating a boost of savory, earthy umami magic. Dip them generously in the warm raclette sauce. This ever creamy, thick, smooth cheese sauce is so divine, you will want to put it on everything else on the table — or stick a spoon in it to finish every last drop. Wontons filled with aged beef. A funnel cake? Yes, indeed. Wontons stuffed with aged beef and drizzled all over with chili oil ($5 each) are a play on the Sichuan specialty but are more like potstickers in shape and appearance here. The wrappers are on the thick side, the filling pretty beefy, and the taste spicy but not explosively so. 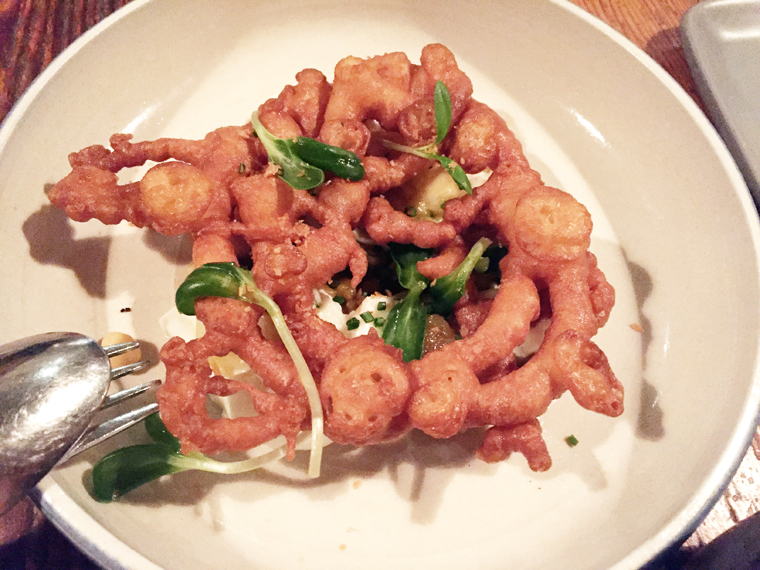 A funnel cake ($16) does indeed crown a dish of chana dal lentils with an apple chutney that still maintains the fresh crispness of the fruit rather than being cooked down until they disintegrate. Burrata is the unexpected — but always welcome — addition. Consider this the county fair meets India. 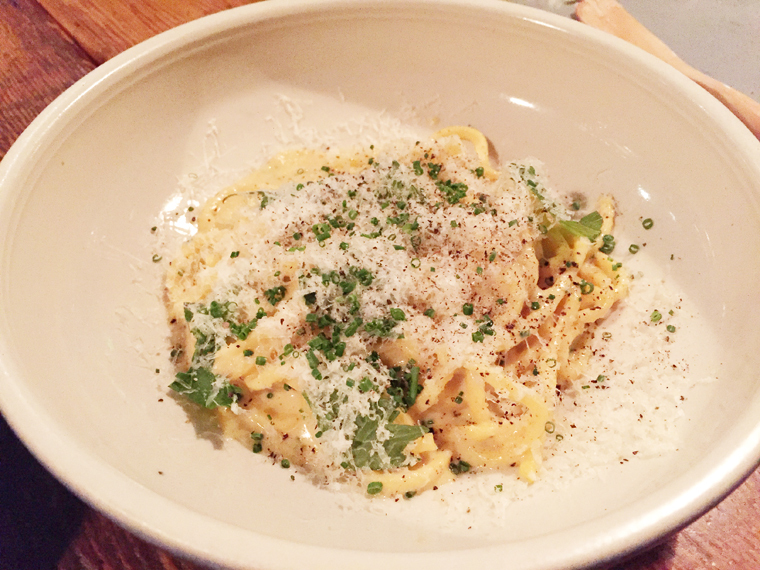 Cacio e pepe ($18) is quite indulgent here, when sea urchin is added along with a healthy dose of Idiazabal. The Basque sheep’s milk cheese creates a super rich sauce for the tonnarelli strands, coating them completely and puddling at the bottom of the dish. I’m not sure one person could eat this entire bowl as it’s pretty heavy. Good thing we shared it amongst the four of us. Sea urchin and a whole lot of cheese meet cacio de pepe. 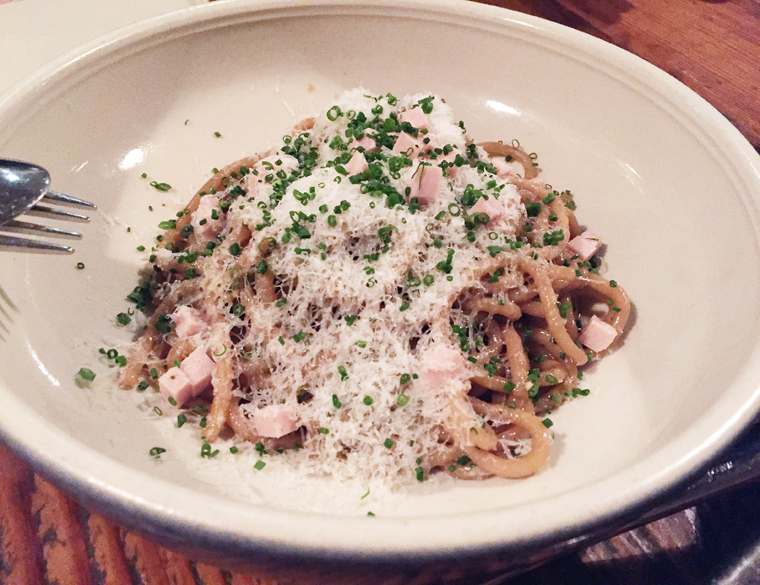 The spaghetti ($17) gets tossed with a precise dice of mortadella, along with Brussels sprouts leaves. It’s a lighter pasta than the cacio de pepe, with the mortadella providing hits of sweet porkiness not nearly as salty as bacon or pancetta would be. 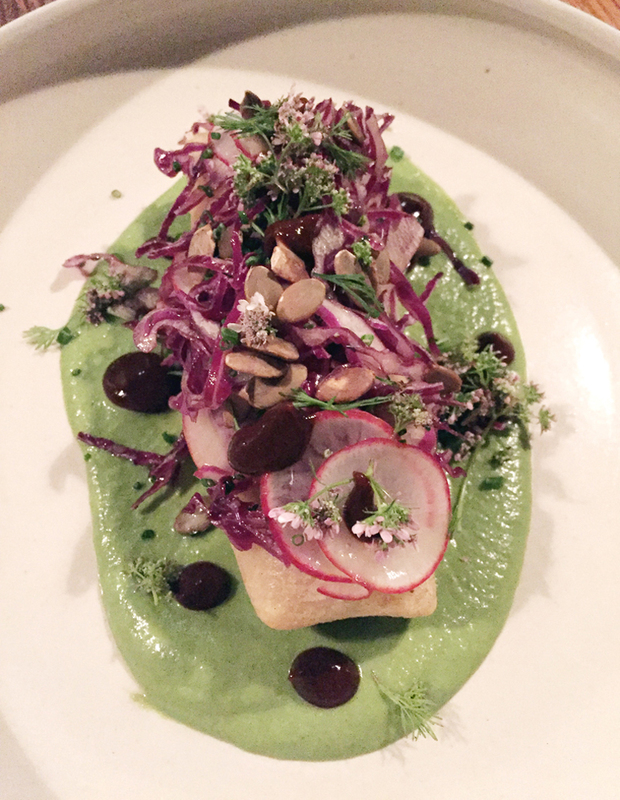 The broccoli tamale ($28) is a beauty with its vibrant mole verde and garnishes of tiny petals. 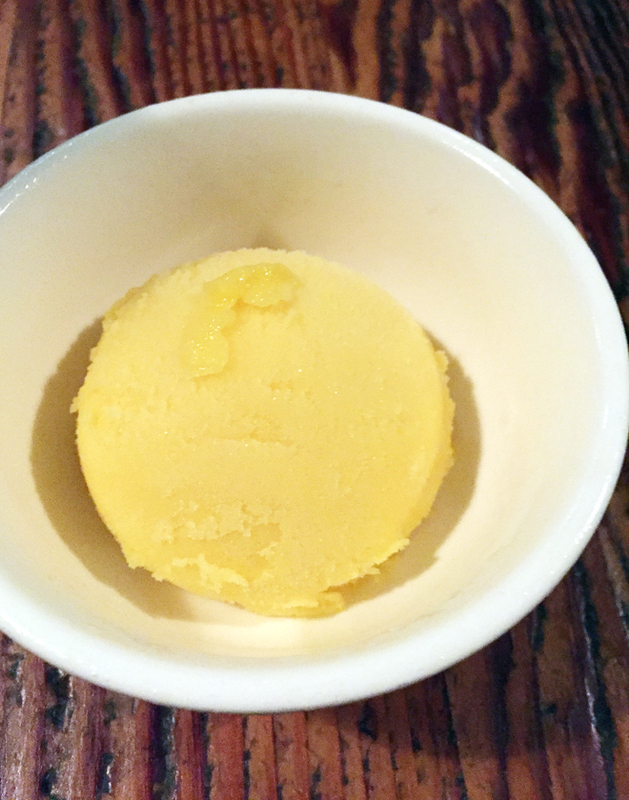 There’s a sweet, intense corn taste from the masa that’s such a treat. Ribeye with an unusual garnish. 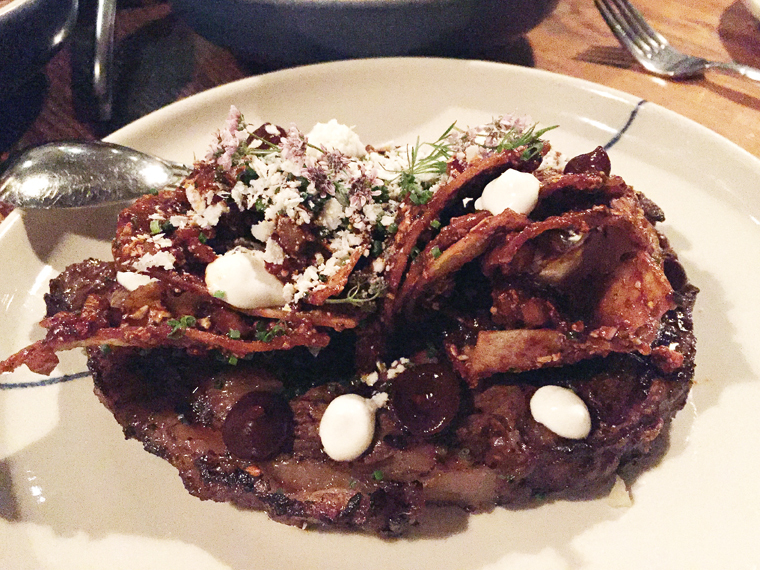 The 21-day aged ribeye ($37) is super succulent. The steak is garnished over the top with totopos con chile. Think nachos. Yes, they are essentially tortilla chips made from masa. They are arrayed over the top, providing a vehicle to sop up the smoky chile sauce brushed over the meat. You might scratch your head. But it works. About that parade of desserts? Where shall I start? 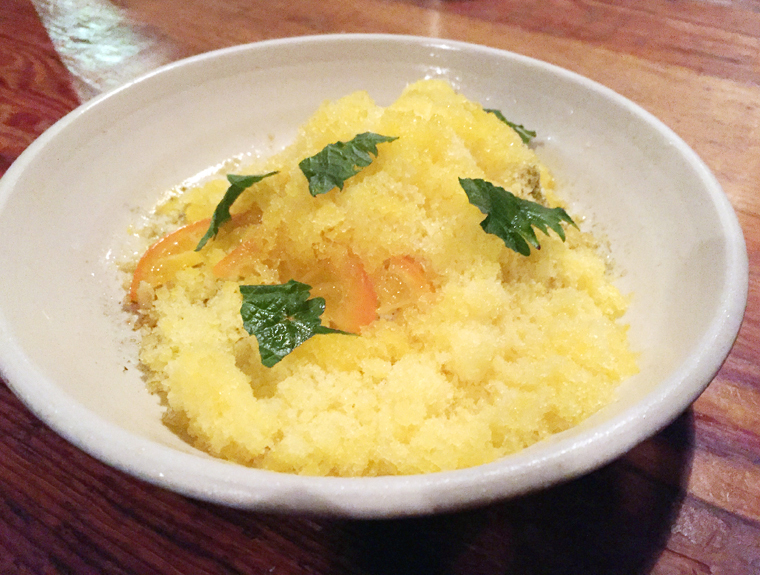 How about with the tangerine sorbet ($3), which very well could have served as a palate cleanser, what with its tantalizing tanginess. The Cali Creamsicle ($12) featured more Mandarin flavor but in granita form this time around, showered over vanilla ice cream. Dig the spoon in deep to get a little of both for that perfect creamsicle combination. 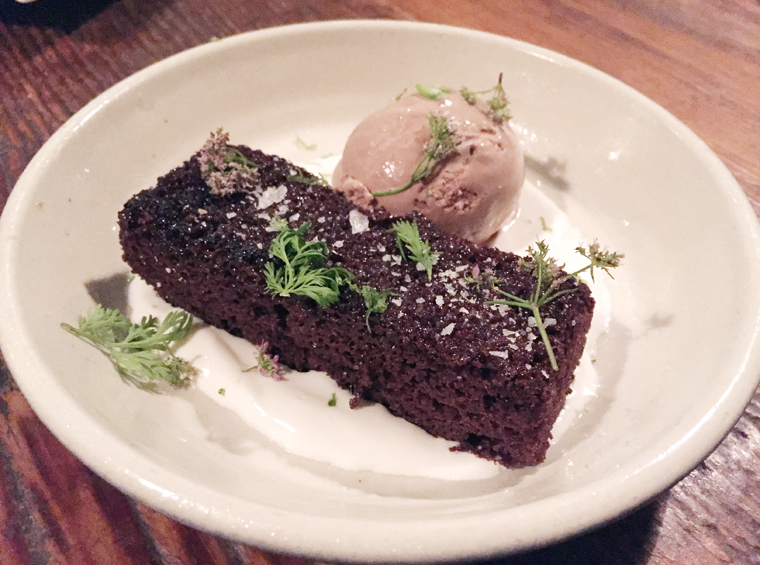 Caramelized chocolate cake ($12) was plenty moist with a nice sprinkle of sea salt on top alongside a scoop of milk chocolate ice cream and a swath of yogurt mousse. Chocolate cake with yogurt mousse. Butterscotch panna cotta to devour. 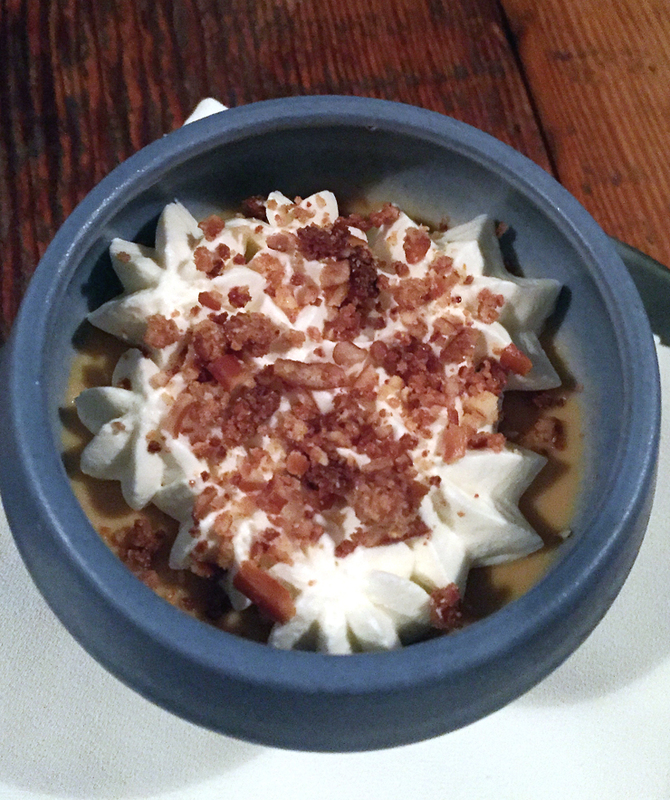 The butterscotch panna cotta ($12) was everyone’s favorite. But how can you go wrong with a deep butterscotchy, spoonable custard sprinkled with a pretzel crumble to add crunch and just the right amount of saltiness? Mint and chocolate go hand in hand in this classic Rich Table dessert. Whenever I dine at Rich Table, this next dessert always automatically lands on my table: mint chocolate sable with mint chocolate cream and iced milk. It’s probably because it’s not only featured in the “Rich Table” (Chronicle Books) cookbook that came out last year, but my own cookbook, “San Francisco Chef’s Table: Extraordinary Recipes from the City by the Bay” (Lyons Press), which came out in 2013. 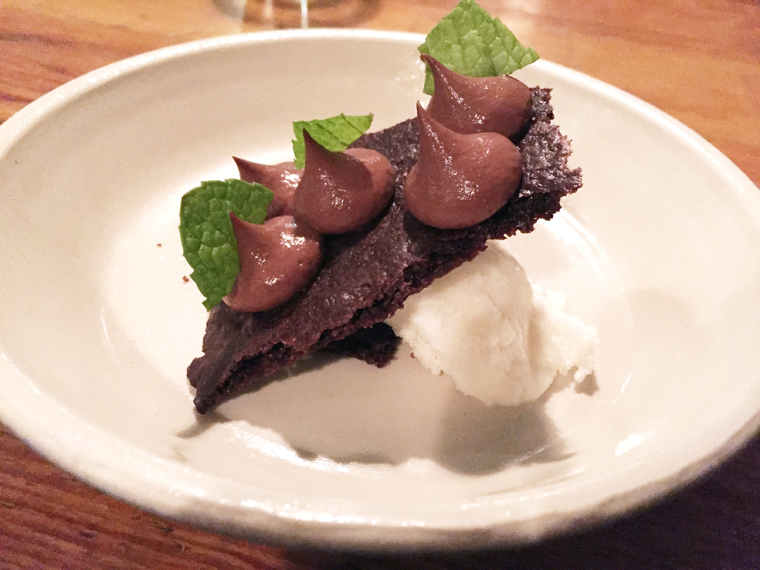 It’s like a deconstructed ice cream sandwich that tastes of an after-dinner chocolate mint. How can you ever turn that down, right? How does Rich Table come up with the things that it does?